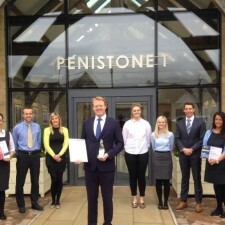 The team at South Yorkshire based Dransfield Properties Ltd will find out on Friday (October 16th) if the company’s Penistone 1 project has won a prestigious national industry award for regeneration. 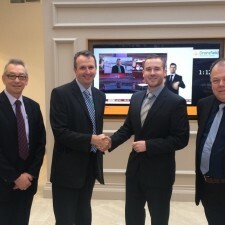 The company was awarded the RICS Pro-Yorkshire Award in the regeneration category at a ceremony held in York in May, also winning a place in the finals which will be announced at the Dorchester Hotel in London on Friday. 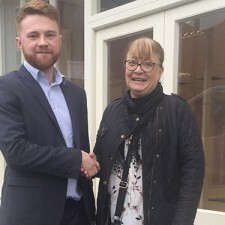 The town centre development has transformed a key site in Penistone and brought new retail, office and community facilities to the town as well as creating new employment opportunities. The latest phase of the project, Penistone 1, was completed in spring 2014 bringing a new commercial development and office suites to the heart of the town centre. 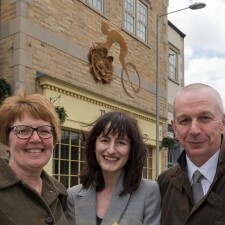 The judges praised the high quality of the development as well as the wider benefits it had brought to the town. 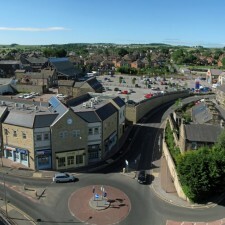 The Penistone scheme is one of 12 schemes from across the UK which are in the running for the national award. It has been judged alongside projects in locations including Leicester, London, Belfast and Edinburgh. The awards ceremony is being hosted by the broadcaster and journalist Sian Williams. The phased development has created brand new and upgraded facilities for the fire and ambulance services in the South Yorkshire town which were relocated as part of the master-planned scheme. A new all-weather bowling green, as well as an upgraded trans-pennine trail link were also completed as well as a new Tesco food store, town centre car park and a landmark markets building. Managing Director at Dransfield Properties, Mark Dransfield, said: “We were absolutely delighted earlier this year to win the regional pro-Yorkshire award for regeneration and it’s fantastic that our work here in Penistone is being recognised on a national stage in the award finals. For the Penistone 1 part of the project Dransfield Properties attracted £1.2 million of investment from the European Union to bring forward the project with grant funding through the European Regional Development Fund through the Yorkshire and Humber ERDF Programme 2007-13. The first phase of the development created 170 new jobs and the Penistone 1 scheme has brought 64 new jobs into the town and supported more than 40 volunteer and work experience opportunities. 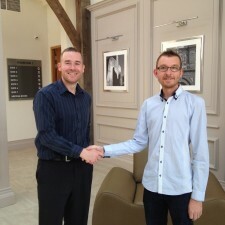 The scheme was designed by Chesterfield based WCEC Architects. 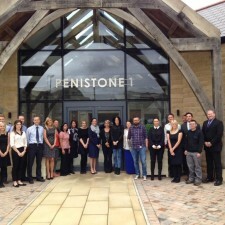 The latest phase of the project, Penistone 1, was built by PDR Construction.